The following post is part of a series of posts that are published every Sunday to update readers on what Mark G has been up to with respect to finishing off games on his "Pile of Shame". The games to target are picked by Choicest Games contributors Choona, Luke and myself. As I'll be talking about my progress through these games, there may be spoilers ahead, especially for games containing a narrative. Consider yourself warned. I haven't touched this game this week since I've been focusing on getting the Hypnospace Outlaw review out. Lanna and I were also a bit discouraged when the last mission we attempted resulted in failure twice. We need to formulate a better plan of attack next time we play: I'm thinking ignoring all the enemies, focusing on the objective and putting full power into shields. Hopefully that will do it. I finally figured out a couple of things that have allowed me to upgrade my ship! Firstly, I finally figured out how fleets work. I didn't realise you could fight battles on routes to gain resources which you can use to trade! 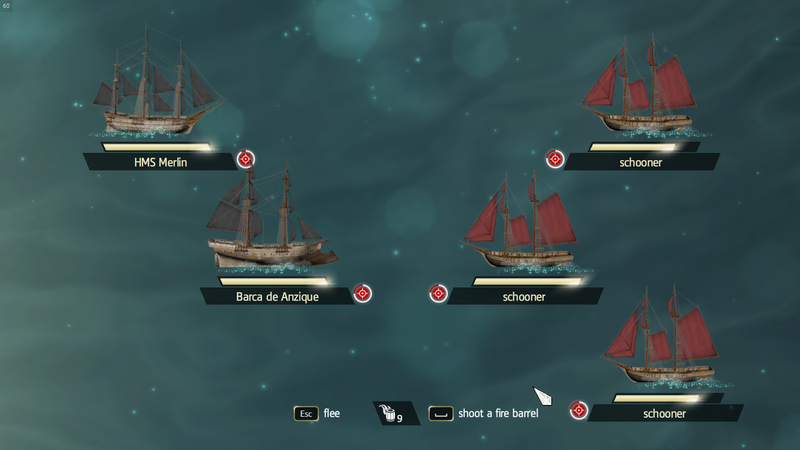 The whole reason I stopped using "Kenway's Fleet" is because I had no trade items to trade with which meant all the missions remained locked. Now that I know how to actually acquire new trade items, it makes things a bit easier! I've now added a new frigate to the fleet since it can definitely help out with the aforementioned battles! The second epiphany I had was that I really should've been reading the hints that suggested I sell any rum and sugar I acquired because it turns out there's really no use for them except for making money. I managed to make 30,000 reales profit from selling them which meant I could finally upgrade my round shot strength to maximum! Chooooooice! Just before I finished my play session for this week, hacked a few computers that had become available after exiting the Animus. One of the terminals had a funny video where the Templars bag Ezio, the original Assassin.